In case you missed it, this year Bethesda Softworks hosted its very own E3 press conference for the first time ever. As expected, the company teased the new DOOM, Dishonored 2 and their most cherished creation, Fallout 4. During one of the many Fallout 4 segments, the company revealed the latest iteration of the in-game smart watch known as the Pip-Boy, which is discovered when the player leaves the vault for the first time. This device allows the player to view their items, stats, listen to audio recordings and even play mini-games with the assistance of special tapes. This is where it gets interesting with the two playable mini-games revealed linked to classics of the past. 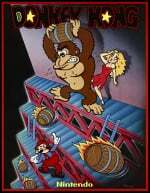 The first is Red Menace, which is clearly inspired by Nintendo’s 1981 arcade game, Donkey Kong, and requires the player to jump over rolling obstacles whilst climbing ladders and beams to rescue an individual held captive at the top of the level. The second mini-game, Atomic Command, pays respect to Atari’s 1980 arcade title, Missile Command, which was eventually ported across to Nintendo’s Game Boy in the 90s. Take a look at both of these mini-games in action at the E3 conference below and let us know in the comments what you think about Bethesda channeling the classics in the latest Fallout game. Getting this when it arrives on PC. Fallout 4 looks great and glad it comes out this year, that way I can get it in 1 year. I don't buy Fallout games right away because they always release a GOTY edition with all the dlc. Oh and I will get it for PC because that is the way to play a Fallout game. Mods. I'd be honest. I honestly liked how they hit on the Wii U, Remote Play and SmartGlass "second-screen gimmick" and turned around and said that theirs is different and better! This game will be amazing! The customization and crafting details are massive changes to the previous games! LOL Todd Howard has always liked to take digs at Nintendo from time to time but that's silly even for him. Still I'll be getting Fallout 4 as soon as it comes out. Trying to decide if I want the pipboy version or not. Bethesda killed it last night. Seriously...I am gobsmacked. When he said Fallout Shelter wouldn't be soft released I couldn't help but think he was digging at Sega and how Sonic Runners only came out in Canada and Japan! Nintendo would sell these games separately for $5.99. And yet nintendo fans don't get the game but your willing to steal one of there games? Oh please sue these ppl, Nintendo. @hYdeks Fallout is best played on a PC anyways. You can mod the game to do more amazing things. Nintendo own barrels, ramps, and ladders now? @Plateface Well yeah? Nintendo is a ladder, barrel and ramps company. Silly you. I'm honestly not that interested in Bethesda (not really my type of games), but I did watch their show last night, mainly out of curiosity. I thought it was kind of annoying that the guy basically bashed the Wii U, saying two screen gameplay is almost always a worthless gimmick, while simultaneously announcing Bethesda's own two-screen play, which included a game that's basically Donkey Kong. Bethesda may be good at making games. But if you look at its current catalog, almost every IP that it is servicing was acquired from somewhere/someone else. In other words, it has generally bought its way into games. My point is that being critical of others who take chances when your formula for success is to use your parent company to buy good IP from failing companies does not always give you a lot of room to talk big. But they do it anyway. Fallout 3 is one of my all-time favorite games. Fallout 4 may sway me to buy a Xbone/PS4. Bethesda is great. I like almost everything they do. For the record, I prefer Fallout over Elder Scrolls/Skyrim. This was an interesting conference. For one there is the app Fallout Shelter. That is a clever way to support/advertise the game on smartphones, and all I could think of was Nintendo doing something similar. Also, that release date caught me out of nowhere. no wii u version? no sale. The Fallout 4 presentation killed it last night. Sadly I'm still waiting for Fallout Shelter to appear on Android. It's up on iOS already. 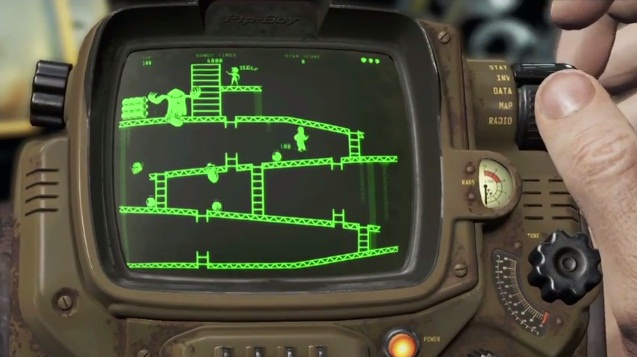 I will probably get the special Pip Boy edition with a real Pip Boy. 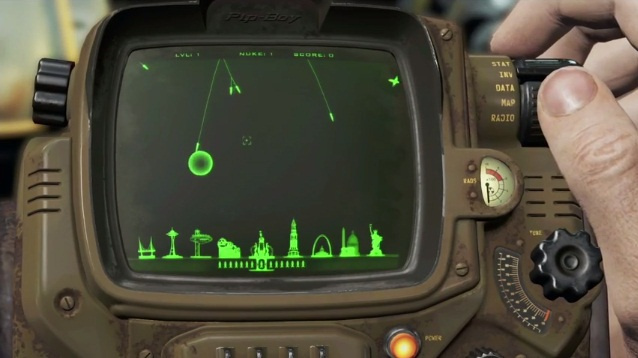 I now want a Pip Boy skin for my gamepad though. @Savino Same on all fronts! @TrueWiiMaster @kensredemption I completely agree, they didn't have to open the show talking trash. Then display inspiration from a nintendo title lol, that's the thing that bothered me about their presentation.